A Guide To NEXT Accident Claims – How Much Compensation Can I Claim? What Could I Claim For An Accident In NEXT? Next are a UK based retailer specialising in clothing for men, women, and children, as well as footwear and home products. The retailer has 538 stores in the UK and is the largest clothing retailer by sales in the UK. With tens of thousands of employees across the UK and millions of customers visiting the retailer stores, some will suffer an accident and need to make a NEXT accident claim. In this guide, we will be looking at people who have had an accident and been injured by the retailer and who need to make NEXT accident claim. We will also look at the duty of care retailers, in general, have to their staff and customers in their stores. Why Choose Legal Expert To Make Accident In A shop Claims? As a major retailer in the UK, NEXT take the health and safety of the staff and customers very seriously. You can find their corporate health and safety statement here. If you have had an accident which was not your fault in a NEXT store, you may be able to claim compensation for your accident in a shop. There are numerous types of accident which can occur in fashion and homeware stores such as NEXT. Larger NEXT outlets may have several floors, with escalators between stories. Claims can be brought against a retailer for accidents which happen on the shop floor, in storage or employee areas and in car parks or outdoor areas. Accidents in a shop can be caused in numerous ways. They can be down to lack of or improper maintenance, improper procedures, poor staff training or negligence on the part of a retailer, management or staff. At Legal Expert, our panel of specialist legal solicitors have many years of dealing with retail compensation claims cases and are fully equipped to help you get the compensation you are entitled to. In this guide to NEXT accident claims, we will take you through some of the most common types of accidents and injuries that people can sustain in a retail environment, how to go about reporting an accident in a shop and the best way to make a successful NEXT accident claim. We also have examples of the amounts of compensation people could be entitled to. Slips, trips, and falls, including falls on stairs and escalators. Muscle strains (employees can develop strains when manually handling stock). Being hit by falling objects, due to improper storage. Repetitive Strain Injuries or RSI caused by repetitive tasks. Collisions and crashes, or walking into things. Minor cuts through to more serious lacerations. Exposure to toxic substances, such as cleaning products. Fights in the workplace or assaults. All of these injuries can range from minor incidents through to more serious cases. The more serious an injury, the more a claimant may suffer or be in pain. As such, compensation awards for different injuries are made in different bands, with lower and higher potential awards. Employees and customers can suffer other injuries in NEXT stores. If you have been injured as a result of an accident which was not your fault, speak to the specialists at Legal expert. Our specialist solicitors will work with you to recover the maximum combination of special and general damages possible. Spills which are not cleaned up fast enough, or in the right way. Smooth floors which have been left wet from cleaning processes. When the floor has been contaminated. Trip hazards caused by poorly maintained floors and general trip hazards. Whilst some of these accidents can be caused by staff at NEXT, others can be caused by both customers and staff, such as spillages. If the stores’ staff have been notified of a spillage which could cause an accident, and not cleaned it up quickly enough, they could be liable for a personal injury claim. If you have had a slip, trip, or fall in a NEXT store, make sure to follow their procedure for reporting an accident in a shop. Contact Legal Expert on 0800 073 8804 to find out how much compensation for slipping on a wet floor you could be entitled to. 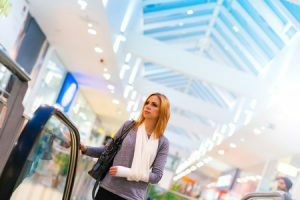 What To Do If You Are Injured In A Store In The UK? If you have been injured as a result of an accident which was not your fault, you may be able to make a claim as an employee or customer. NEXT accident claims will commonly be made when there has been a breach of the retailers’ duty of care. It is the responsibility of any retailer or employer to put in place the processes necessary to correctly train staff in health and safety processes. Employers must ensure that their staff has the training to carry out all their tasks in the safest way possible. This could be training in lifting, carrying and manual handling, as well as how to safely store items or use equipment. Retailers (as well as any other workplace where the public will come and go) also have a duty of care to their staff. The retailer must ensure that all the correct risk assessments have been carried out to allow everyone to work in the best and safest way. At the same time, employees also have a responsibility to avoid unnecessary accidents or incidents and follow all the correct procedures they are expected to. Retailers also have a duty of care to pay their staff sick pay when they have been injured in the workplace. In most injury claims cases, you will have the right to claim sick pay. In the UK, around 2.77 million people work in the retail sector. Of these, there are 2,250 accidents and injuries per 100,000 workers. This is according, Health and Safety Executive statistics. To help reduce the number of retail accidents and injuries, the HSE has produced a variety of shop risk assessments tools, as well as guidelines which should be followed. These tools help retailers to carry out their risk assessments in a quick and easy way. They also help to identify the kinds of hazards which may be common to their industry or retail space. Claimants should be aware that there is a three-year time limit within which to make a personal injury claim. The three year time period begins either at the date of the initial accident, or the date the injury was discovered. At Legal Expert, we can work with you to get the compensation you deserve through a no win no fee service. All employees of NEXT should have undergone the correct training in their jobs, any equipment they may have to use, as well as the correct health and safety procedures. If an employee has not had the correct training, this lack of training could be considered a breach of their duty of care. Both and employees and employers are responsible for preventing accidents in the workplace from occurring. Any retailer should keep their health and safety procedures up to date. Racking and storage accidents in NEXT are generally split into two major types of workplace accidents. These are accidents where the injury was caused by a shelving or racking system collapsing onto the claimant. In retail environments, these accidents can happen in stock or display areas and to both customers and staff. The second accident type is manual handling accidents caused by lifting and carrying objects incorrectly. Manual handling accidents can also occur when employees are loading or unloading stock from racking and shelving in storage or display areas. In general, shelving and racking systems accidents can be caused by a very wide range of different factors. Racking and shelving systems form the basis of how retail goods are commonly stored. You can find out more about storage and racking accidents, as well as how to make these claims by reading our guide to storage and racking accidents. In order to make a successful NEXT accident compensation claim, there are steps that you should go through. If you intend to make a compensation claim, carrying out these steps can help your case proceed faster. One of the first steps is to report the accident to the retailer, such as NEXT. make sure it is correctly logged in their accident log book. Make sure you also keep a copy of this report to pass on to your solicitors. If you do not need to immediately, do visit either a GP, hospital or medical specialist as soon as you can after your accident. It is important to get any medical treatment you may need. It also helps to establish how severe your injuries are. Keep copies of your medical report(s) to pass on to your solicitors at a later stage. Your medical reports can help form a key component of your claim. Write down the contact details of any witnesses, as well as whether or not they saw what happened. Your lawyer may want to get a detailed statement from them at a later date. At the same point, try to take pictures of the accident scene and your injuries. Try to photograph the whole site. This also acts as a supporting record of the accident. Record any expenses you have had as a direct result of your accident. Expenses can include things like medications, travel to medical appointments, losses of earnings and in more serious cases, the cost of adapting your home for disabled use. As soon as you are able to after the accident you should make a note of what happened. The longer you are from the accident, the more memories can become a little less reliable. Note down everything you remember about how the accident happened. Loss of earnings Potential award banding £10,000 - £400,000 Awards for loss of earnings will be based on the claimants current income as well as their future earnings. Any award will be calculated by taking claimants future career prospects into account. Pain and suffering Mild to Severe £1,000 - £200,000 The severity of the level of pain refers to the pain and suffering the client experiences. Knee injury Minor £4,750 - £19,600 This includes minor damage to the joint, causing some pain and loss of function. Knee injury Moderate £22,250 - £33,200 This includes moderate damage causing on going pain as well as some loss of function in the joint. Elbow injury Minor £3,100 - £9,750 Injuries can include some minor loss of function and/or pain in the elbow. Elbow injury Moderate £11,400 - £23,900 Claims may include a partial loss of function in the elbow joint, as well as some pain. Shoulder injury Minor £350 - £6,700 Injury or pain restricting arm movements in the short term. Shoulder injury Moderate £6,250 - £9,750 Injuries which restrict arm movement. Back injury Minor £350 - £9,850 Temporary damage to the back. There may also be some back pain. Back injury Moderate £8,750 - 30,750 Claims may include more serious damage to the persons, back as well as longer term ongoing pain. The compensation amounts are detailed in different bands. These are produced by the Judicial College and the guidelines are generally followed by the courts and solicitors. The table above contains a sample list of injury types and is not exhaustive. Even if your injury type is not listed above, you can still contact the specialist legal solicitors at Legal Expert to make a personal injury claim for a NEXT accident. Please note, the figures above are representative and are based on the 2017 edition of the Judicial College guidelines. At Legal Expert, we understand that claimants may already be facing a number of financial pressures when they come to us to make a personal injury claim. The last thing they need is for their claim to add more costs to an already stretched budget. Our no win no fee or ‘Conditional Fee Agreements’ are contracts whereby the solicitors we work with will provide services to you without asking for any upfront or ongoing fees. The agreement will set out in detail what the solicitor will do for the client, as well as when and how they will be paid if the claim is successful. It will also stipulate that no fee is due if the case is not successful. In the event of a win, the legal fees will be deducted from the total claim award. By law, these fees cannot be greater than 25% of the total award. To begin making your personal injury NEXT accident claims case, talk to the panel of specialist solicitors at Legal Expert today. Call 0800 073 8804. As with any legal process, personal injury cases such as NEXT accident claims, can be difficult and lengthy processes. To navigate the terminology and processes, you need the best specialists you can find. The professional team at Legal Expert are there to help and advise you on the claims process. Our team is here to help you through your recovery process, get you back on your feet and get you the compensation you are entitled to. Our panel of solicitors have decades of experience in how to make a personal injury claim. They will work with you to make the legal process as friendly as possible. At Legal Expert, we can work with you on a no win no fee basis and start by offering you a no obligation consultation service. During this, we will explain how making a personal injury claim works, and the best way to do so. At the same time, you are free to ask our experts any questions you have about the process, costs and legal phrases or terminology. Claimants have chosen to work with our no win no fee solicitors for a variety of reasons, from our specialist no win no fee services to the experience of our solicitors. If you choose to work with us you will have access to a wide range of experience and expertise. The solicitors we work with across the UK will work to get you the maximum level of compensation for your injury type. You can contact our team by calling 0800 073 8804 today. You also use our contact form or send us an email with details of your case. Talk to the experts now. This link provides information on Health and Safety procedures and statistics in the UK’s retail industry. If you have been injured as a result of a slip, trip, or a fall, use our guide to to make a claim and how much compensation you could be entitled to.